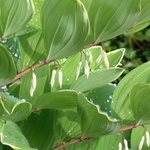 Polygonatum odoratum 'Variegatum'. A classic beauty for the woodland garden. 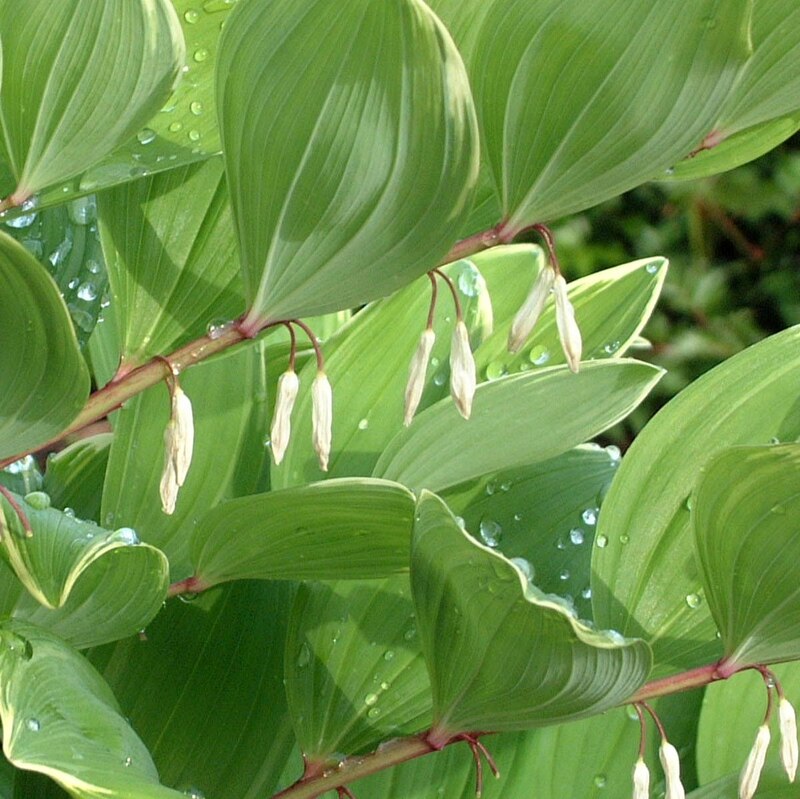 Grown mostly for its clean variegated, soft green foliage which turns yellow in fall, Solomon's Seal is a charming plant for the shade. Arching slightly at the top, the unbranched stems with large, alternate leaves support the dangling white flowers below. Springtime a subtle lily-like fragrance fills the garden. The stems are beautiful in cut flower bouquets.